This week sees the release of three new edits. 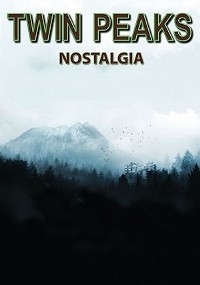 Twin Peaks: Nostalgia by ReddinoX - Since I was not happy with the duration, some characters, the colors and above all the music of the new show, I gave to the third season a tighter pace and a feeling of the 80's. 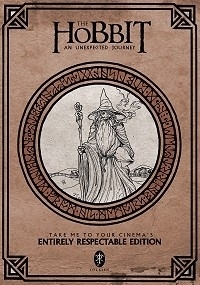 The Hobbit: An Unexpected Journey - Entirely Respectable Edition by TM2YC - The 'Entirely Respectable Edition' seeks to remove all material that is silly, overplayed, misjudged, overly comical, ridiculous and generally inconsistent with the more serious tone established in the earlier 'Lord of the Rings' Trilogy. It is not a radical restructure, or a two-film cut and does not set out to streamline narrative, quicken pacing, or remove characters and plot-threads. The more time we spend in Middle Earth the better, I just want Middle Earth to be a more sensible place while we're there. Batman: The Man Who Laughs by Ryantology - Batman: The Man Who Laughs takes a great movie and attempts to fix a few pacing issues while also omitting poorly written lines delivered by amateurish bit players. Also gone are the awkward moments of forced humor. The result takes an already great movie and very much strengthens it. This is the discussion thread for Week of November 25, 2018 – New Fanedit Releases. Post away! Did a little update of my synopsis on the IFDB page that does my edit a little more justice. May or may not have been severely sleep deprived when I wrote the description seen above. ITW- Weapon X (X-Men Origins: Wolverine edit), Halloween 2007 (The 1978 cut), A Final Scream (Scream 4 edit), Jaws: Megalodon, Boondock Saints II: The PC edit.